The fourth conference on Information Geometry and its Applications will be held on June 12-17, 2016, at Liblice Castle in Czech Republic. It is organized by the Institute of Information Theory and Automation of the Czech Academy of Sciences. The first three conferences took place in Pescara, Italy ( IGAIA I, 2002), Tokio, Japan ( IGAIA II, 2005), and Leipzig ( IGAIA III, 2010). The conference is financially supported by Max Planck Institute for Mathematics in the Sciences (Information Theory of Cognitive systems Group), Institute of Information Theory and Automation of Czech Academy of Sciences, and Università degli Studi di Roma Tor Vergata. The aim of the conference is to highlight recent developments within the field of information geometry and to identify new directions of research. To this end, the conference will bring together leading experts in the field. It will consist of invited talks and poster sessions representing theoretical work as well as work within one of the many application fields where information geometry plays a role. 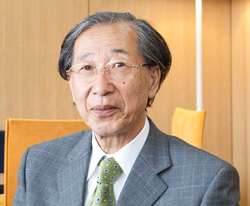 This event honours the numerous scientific achievements of Shun-ichi Amari on the occasion of his 80th birthday. The participants are invited to present a poster. The book of abstracts will be published prior to the conference. The poster boards are good for posters up to A0 size. There are no other poster specifications.